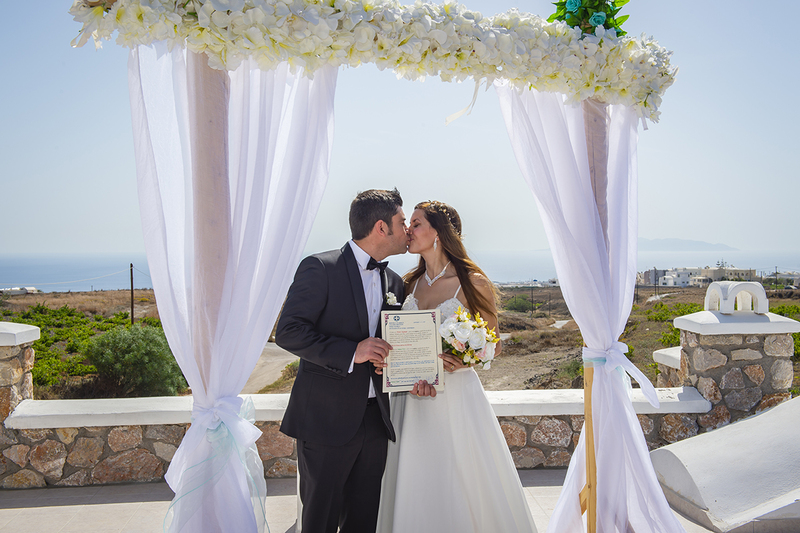 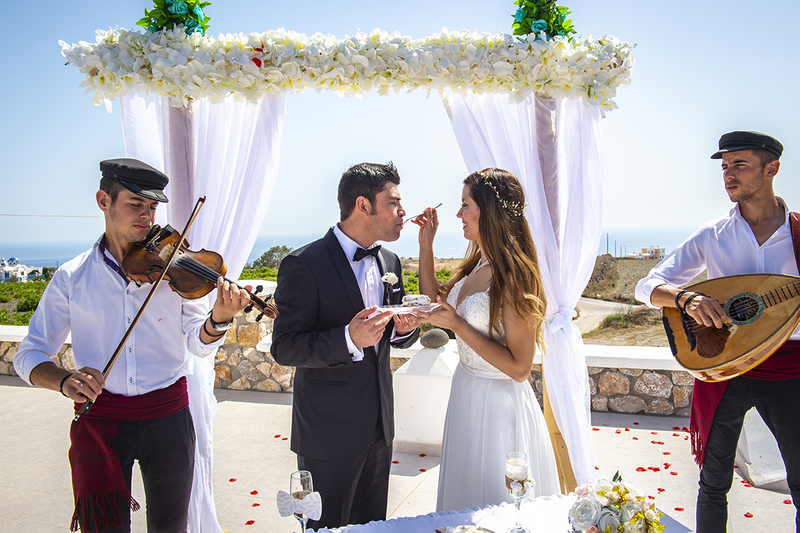 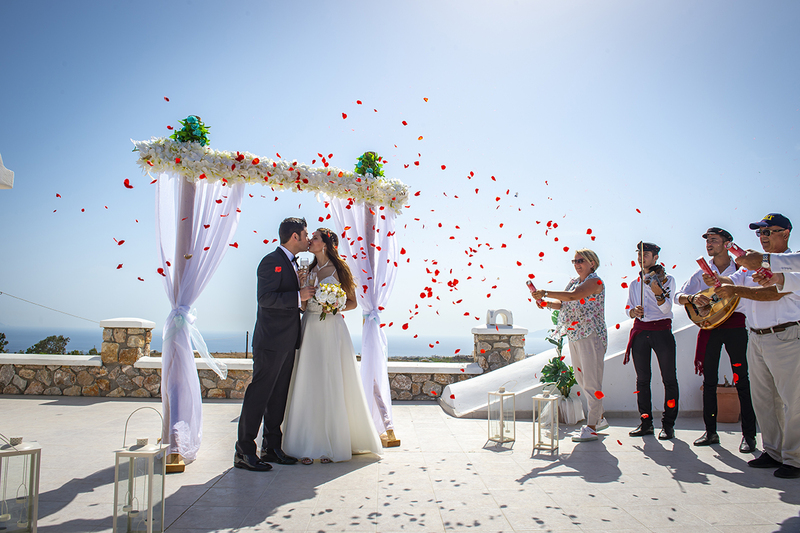 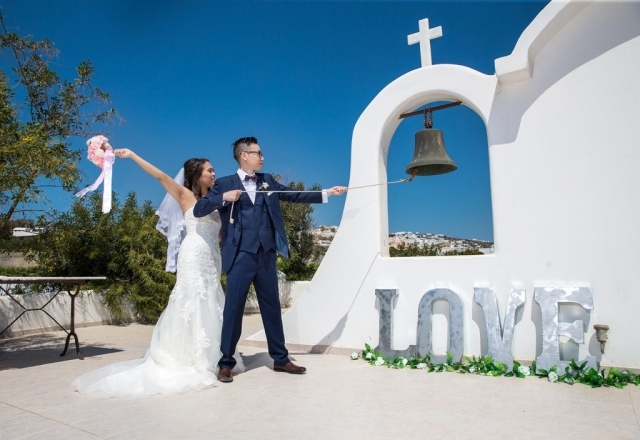 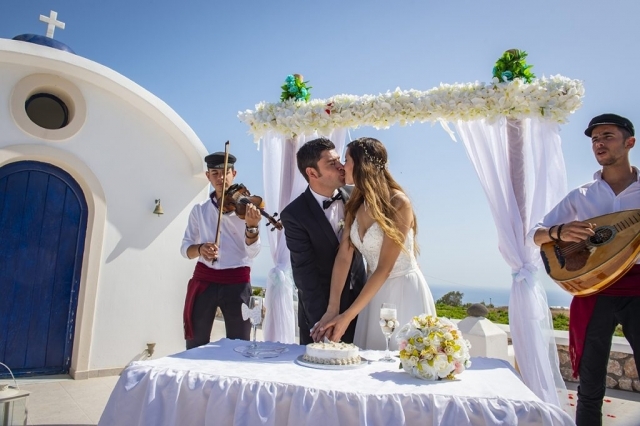 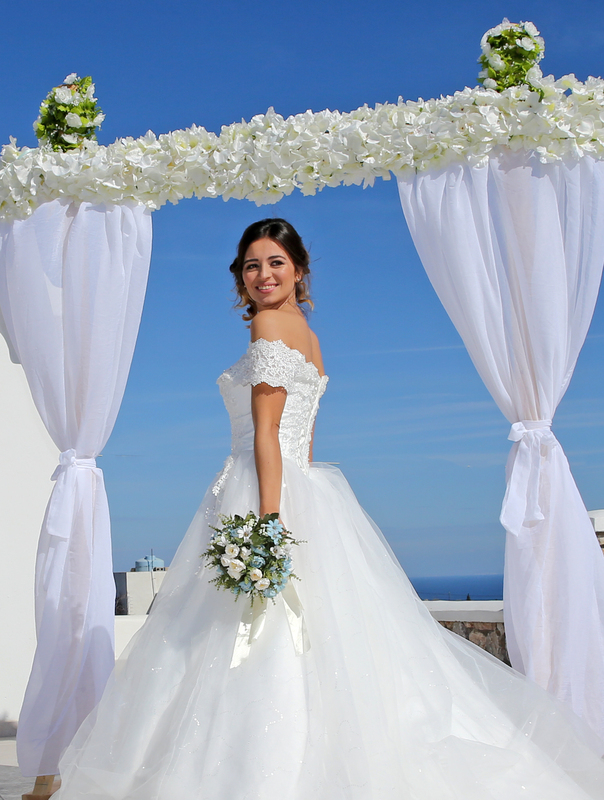 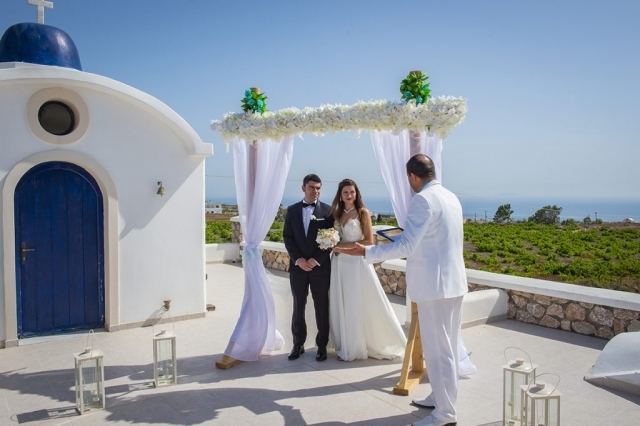 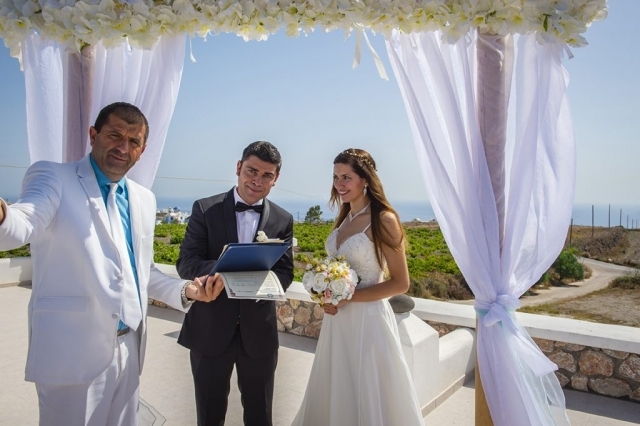 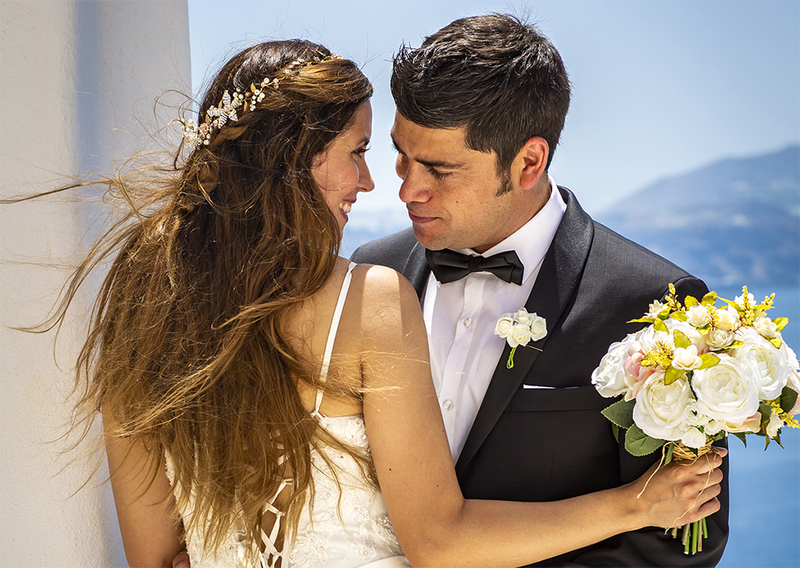 SMALL WEDDINGS IN SANTORINI : Most of Santorini wedding packages are not include the wedding venue for the ceremony because all the venues are private properties and they have different prices. 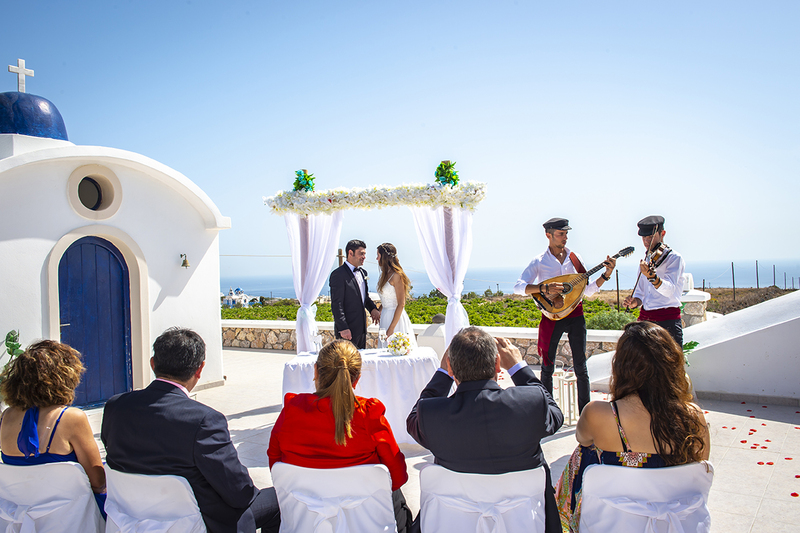 For small weddings in Santorini we have created a package that is include the weddings venue of Saint Nicholas chapel. 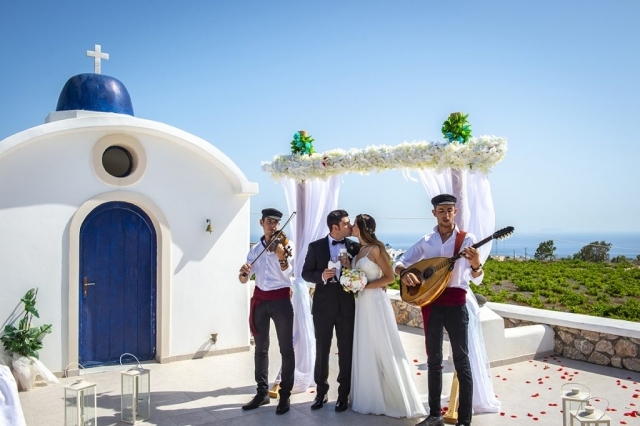 Is a small private chapel that is located in Fira Santorini, over looking the ocean and the country side of the Island by the beautiful green Santorini vineyards! 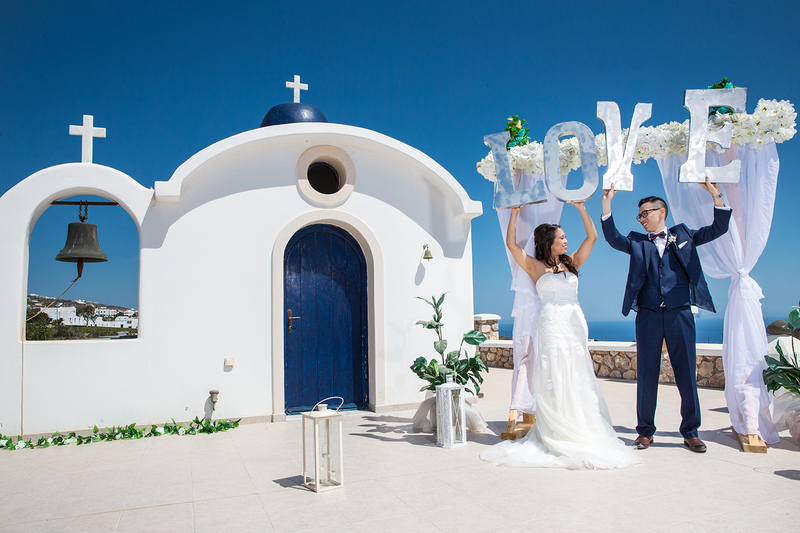 OUR SPECIAL GIFT FOR YOU: A wedding photo album with 50 printed photos, and A bottle of champagne !